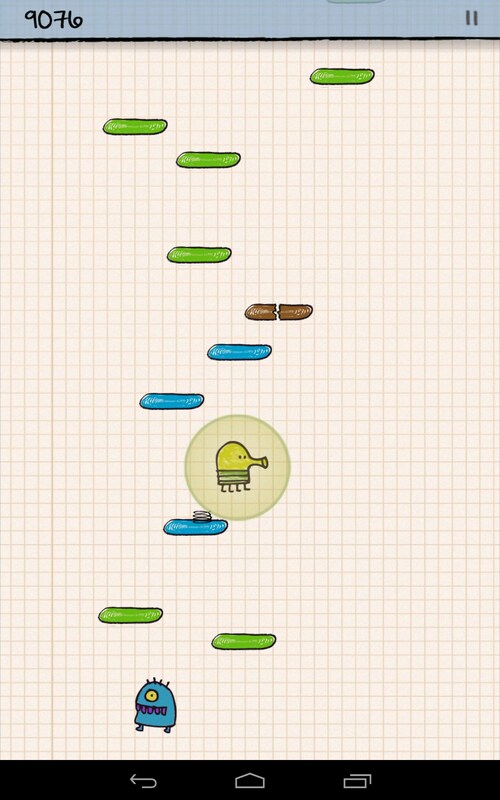 Doodle Jump – Games for Android 2018 – Free download. 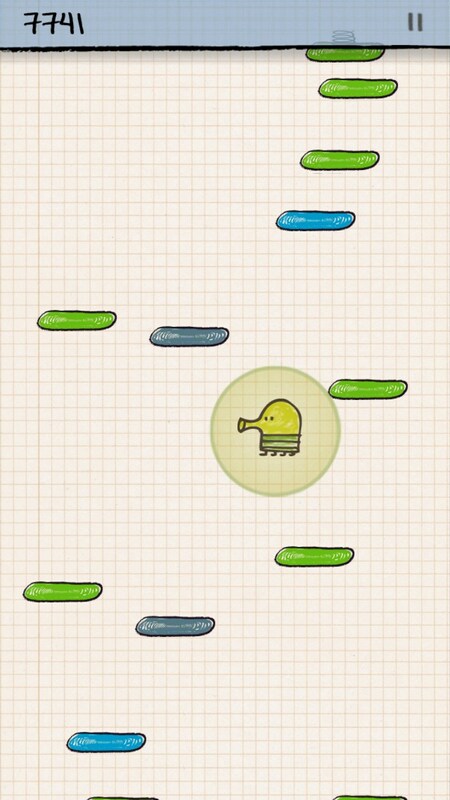 Doodle Jump – Legendary arcade game is now available for free. 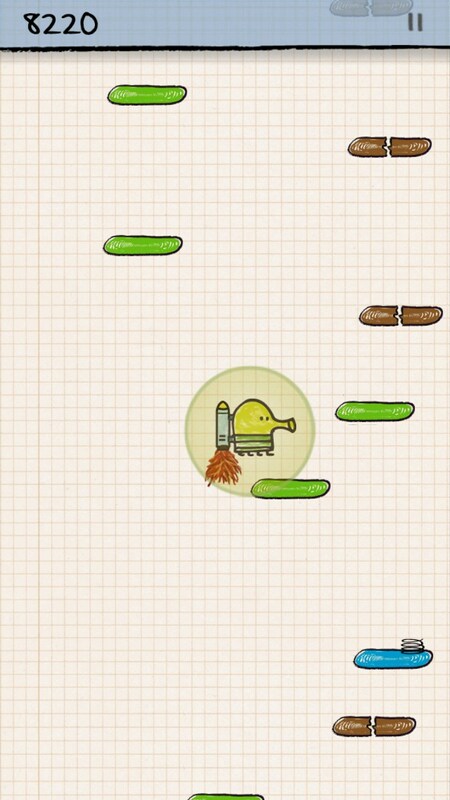 Doodle Jump is a great game for Android devices and one of the most popular mobile arcade jumpers in the world. 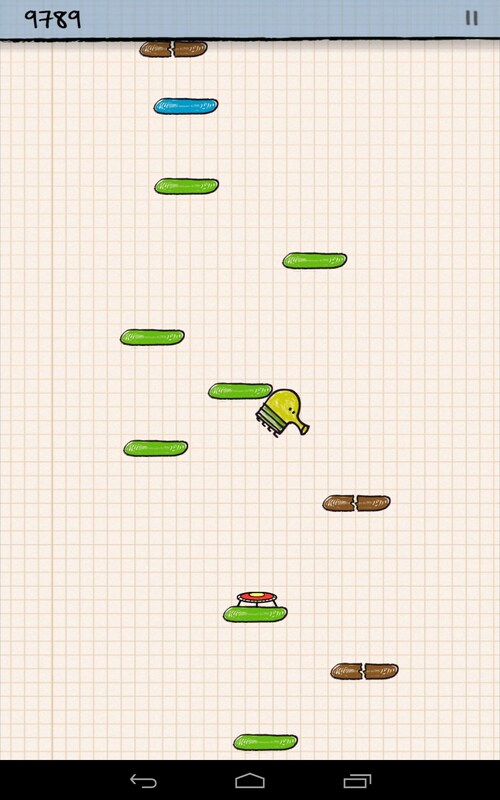 In this game you will need to help a weird green creature jump higher and higher without stopping and dodge various obstacles as well as kill enemies. Having been released by Lima Sky LLC, the application has been downloaded for over 10 mln times. 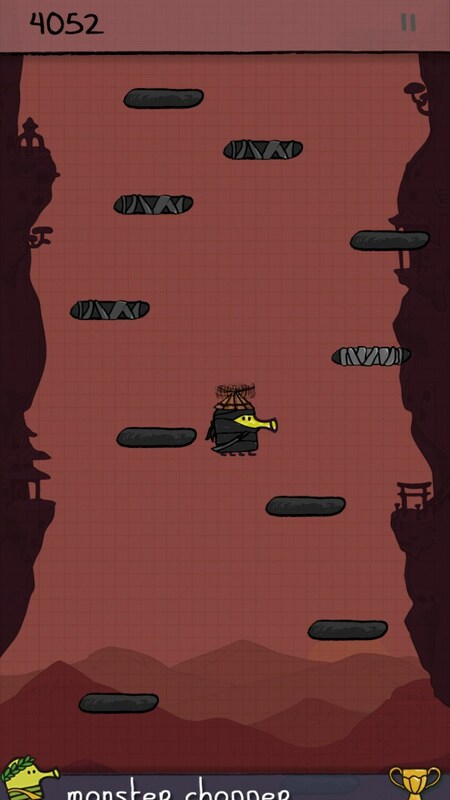 It features detailed, quality, and funny 2D cartoonish graphics, addictive game play, lots of weird-looking monsters, and many various obstacles. 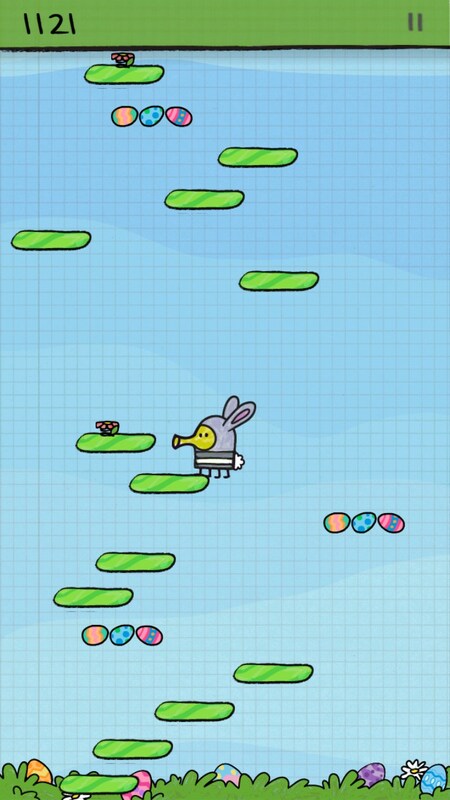 The game has a cartoonish graphics and it’s inspired by school drawings on a list of chequered paper. The game is controlled via your device g meter. 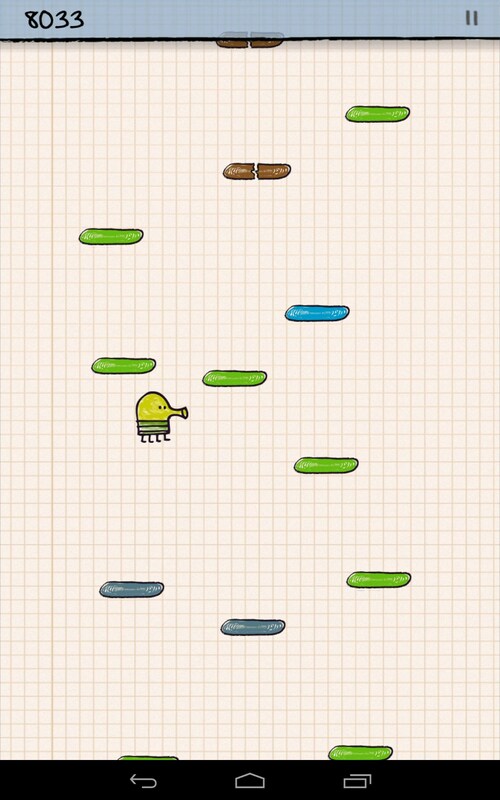 You will need to tilt your phone to move right or left, whilst the character will be jumping automatically. Remember that if you go beyond the screen, you will enter it from the other side. 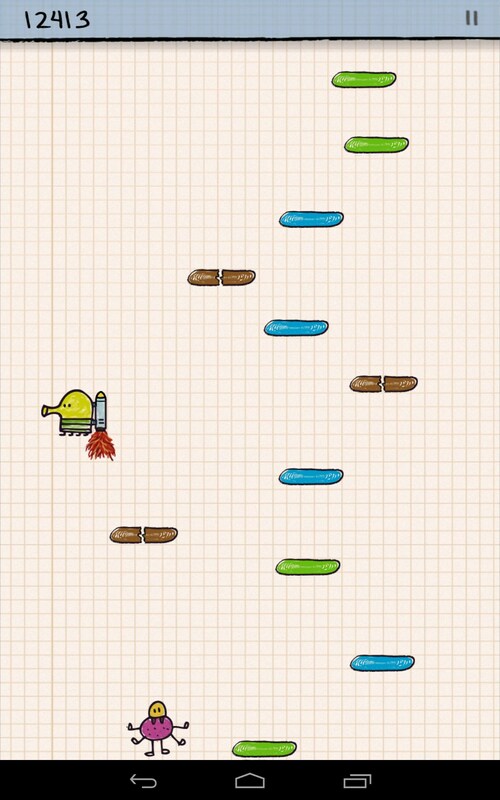 Your way up into the skies will be bristling with various obstacles: aliens that you will need either to dodge or shoot, platforms (moving, disappearing, broken, etc), black holes, UFOs, and so on. Also, some platforms will have trampolines, jetpacks, propeller hats, or other boosts located on them that you can collect and soar upwards. 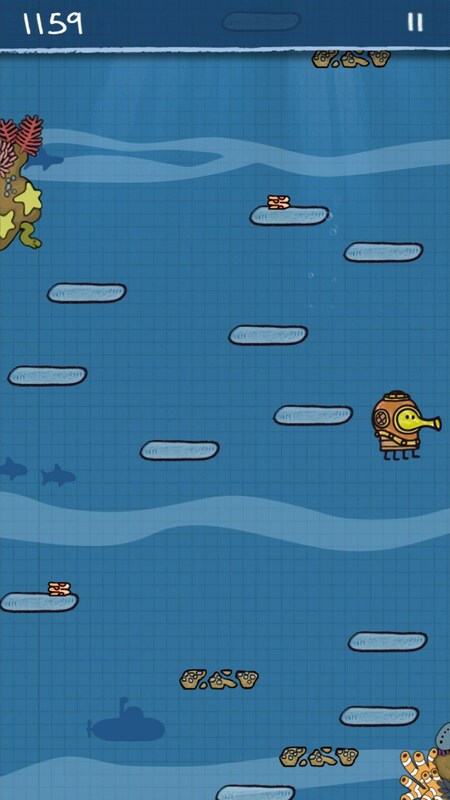 Apart from it, to make the game more exciting, developers added 10 themes that you can change. 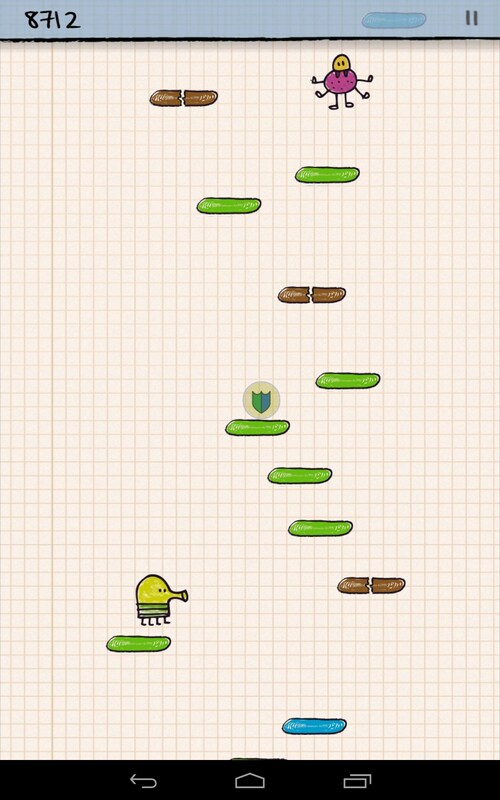 In this case, the enemies and obstacles will be changed too. 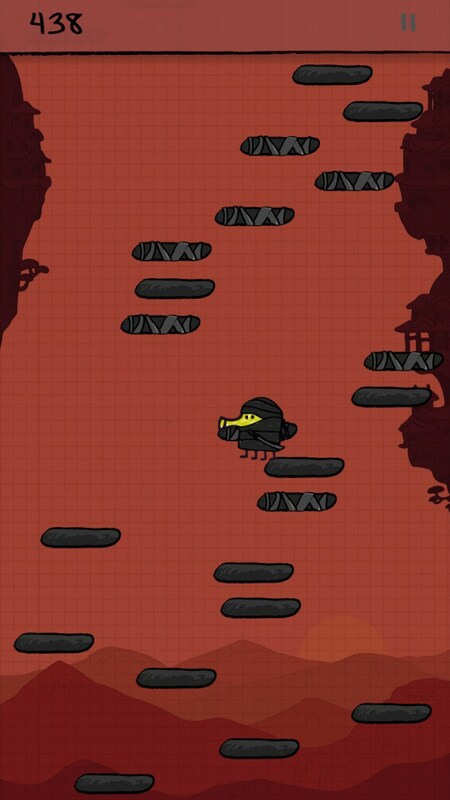 Since from recently the game is distributed for free, it is full of annoying built-in ads. 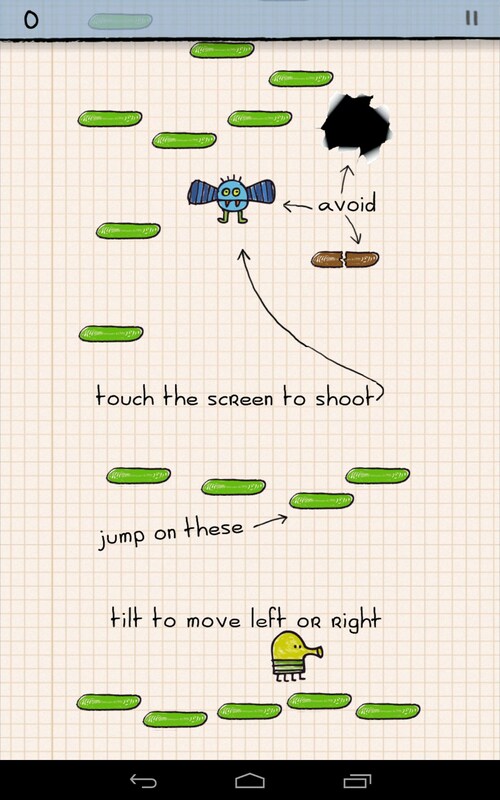 Doodle Jump is a great jumping arcade game for Android devices that’s a simple fun to play. Featuring addictive game play, sweet and funny graphics and lots of boosts, it will become a fav of both adults and children.